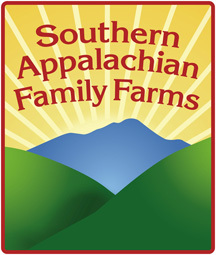 Mark your calendar for the final Southern Appalachian Family Farms workshop series scheduled for March 14th. This free workshop entitled, I raised, grew or produced it, now how do I sell it?, will focus on Producers. The open forum session will be led by a panel of farmers sharing success stories and hard lessons learned with guest speakers, Matthew Gutierrez of Carolina Farm Credit and Cameron Farlow, WNC Farm Link Land Access Coordinator. The workshop will take place at the NC Cooperative Extension Office in Clay County from 9am to 2pm. Lunch is provided. Please contact Julie at (828) 389-6305 to pre-register. Visit MountainWise’s calendar to learn of more events in your area.